Tim’s second book is now available through North Star Press of Saint Cloud. 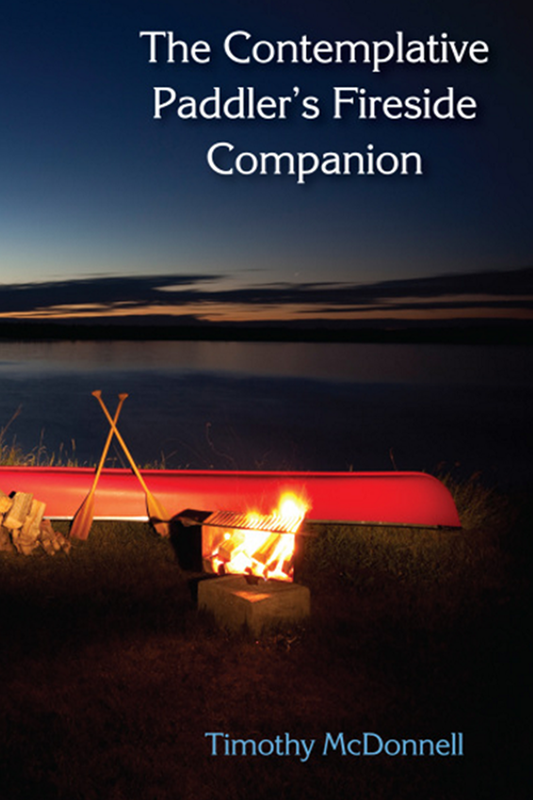 This book is a fine companion for any paddler, wanderer, or dreamer with a love for the wild. What you have here is not one more how to manual for paddlers. These pages comprise a why do volume exploring the spiritual core of paddle trip experience. Tim McDonnell writes with clarity, spirit, and self-effacing good humor. He takes you along on several amazing wilderness journeys. Here you will share explorations into the wild that are fueled by something far more substantial than mere adrenaline and far more significant than mere ego. Wonder, playfulness, gratitude, and introspection are the key ingredients of this well-crafted book. Each of his essays flares a bit and then lingers with you, just as you would expect from a good fire. The 29th annual Northeastern Minnesota Book Awards were held on May 18, 2017. This book received an Honorable Mention in the Memoir category. Congratulations to all recipients! Description: Crafted with an honest sensitivity, this charming book reflects the perspective of a small, free-range boy with a large imagination reared in one of our nation’s most cherished wilderness areas. It is mostly about the author’s growing up years in the 1950s and 1960s at the resort his parents owned thirty-two miles into the boreal forest from the town of Grand Marais, Minnesota. Far more than a sentimental journey into the past, here is a story of triumphs, tragedies, and transitions; a story that reveals in full the cathartic powers of nature. The lessons presented are all the more relevant today. Our need to reconnect with the wild has never been greater. 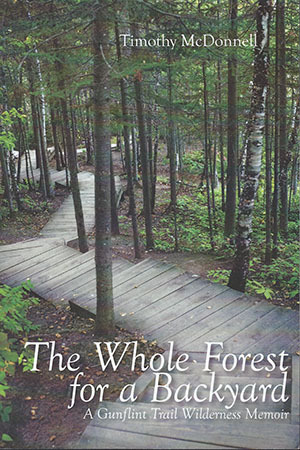 This book was a finalist for the 2013 Northeast Minnesota Book Awards. Both of Tim's books are presently available for sale at the Nature Store inside the visitor center of Minnesota Valley National Wildlife Refuge. The refuge visitor center is located in the east side Bloomington. The refuge is a wonderful place to go and renew your connection with the outdoors.